High energy yields, flexible project design, solar monitoring, plant management and safety shutdown on the module-level – these are the advantages of SolarEdge, whose broad product range is available at EWS from now on. 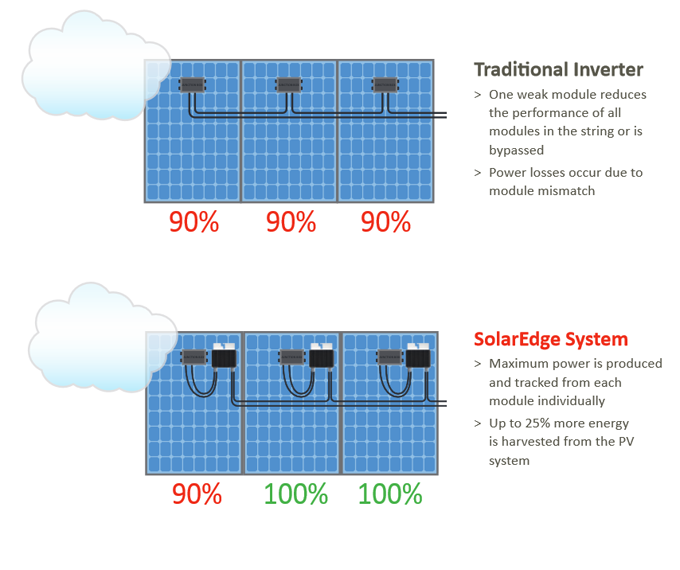 In comparison to traditional inverters, in the SolarEdge system the maximum power point is tracked individually for each module, not for the whole string. Power optimizers – either module-integrated or as a retrofit kit – help to increase the energy harvest of every module, monitor the panels and transmit the relevant data in real time to the cloud based monitoring platform. For commercial applications a retrofit kit is recommended, which can be connected to two modules at once. Finally, an inverter, which is reduced to its core functions and, thus, very cost-effective, converts direct into alternating current. 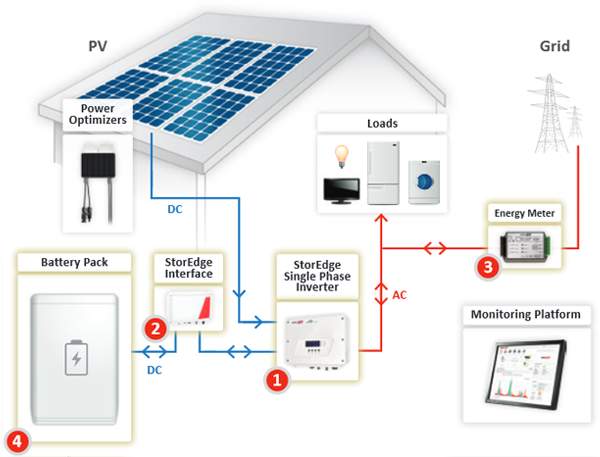 In addition to smart energy products, the SolarEdge product range includes the DC-coupled interface for storage solutions, StorEdge. This can be connected to a high-voltage battery from LG Chem in order to increase the level of self-consumption of on-grid applications or to provide a backup system. By using the SolarEdge technology, high energy yields are possible even in challenging conditions, for instance, with different module orientations, roof slopes and partial shading. In case of a defect, the failure sources can be identified quickly and, thus, the maintenance costs kept low. Thanks to the SafeDCTM function, the output voltage of each module will be automatically reduced to 1 volt per module – an increase in safety during installation, maintenance and in case of fire. The SolarEdge System is suitable for residential as well as for commercial and industrial applications. The listed company (NASDAQ) grants a product warranty of 25 years on its power optimizers and 12 years on inverters. The warranty can be extended up to 20 or 25 years depending to the inverter model. If you would like to get to know the SolarEdge product range and the company, now here is your chance: Together with our new partner we plan an introductory seminar. We will keep you updated on the seminar details. In the meantime, we recommend the recorded SolarEdge webinars. For more advantages, please have a look at the factsheet “SolarEdge product advantages”. Technical details can be found on the company’s respective product pages. For your purchasing conditions, please have a look at our calculation tool QuickCalc which is available in our partner area.